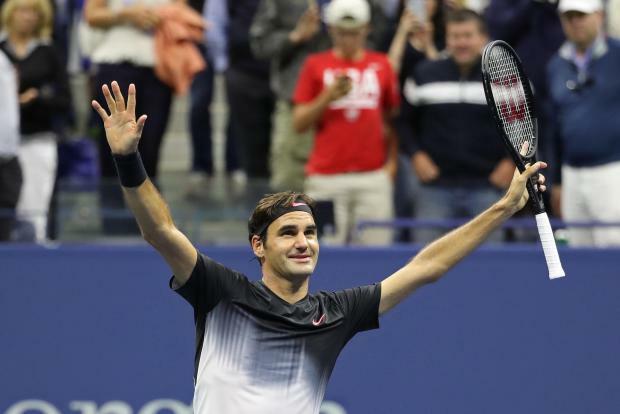 Roger Federer booked his place in the second round of the US Open but serious doubts remain about his fitness after he needed five sets to defeat American teenager Frances Tiafoe. The reigning Australian Open and Wimbledon champion had insisted on the eve of the tournament that he was fully over the back problem that forced him to withdraw from the Masters event in Cincinnati two weeks ago. But it did not look that way early on as he struggled with his movement, his serve and his backhand in particular. Tiafoe took advantage as Federer dropped a set in his first-round match at Flushing Meadows for the first time since 2003. The 36-year-old looked to have turned things decisively in his favour when he raced through the third set only for Tiafoe to force a decider, but in the end it was Federer who came out on top 4-6 6-2 6-1 1-6 6-4. Federer said: “It was a good one. I think we both enjoyed ourselves out here. I’m very happy with the match. It was exciting and it’s kind of why I came to New York, to go through these emotions. Federer does not often have new experiences in tennis these days but this was one as he took to Arthur Ashe Stadium under the roof for the first time. Rafael Nadal had earlier complained that the constant hum of chatter made it impossible to hear his opponent hitting the ball. It was the five-time champion’s first match in New York since 2015 after he missed the tournament last year with knee problems. This was Tiafoe’s first match on Ashe full stop, with the teenager looking for his maiden US Open victory. One of America’s biggest hopes, his inspiring story began when, as the son of immigrants from Sierra Leone, he spent his early years at the Junior Tennis Champions’ Center in Maryland, where his father Constant was head of maintenance. Built more like a boxer than a tennis player, Tiafoe possesses bruising power and no little swagger. Any nerves were soon eased when Federer threw in four unforced errors in the opening game, including two backhands off the frame, to drop serve. The third seed could barely hit a backhand in court, his normally ultra reliable serve was all over the place and his footwork was too slow to cope with Tiafoe’s thumping forehand. It played into Federer’s hands, with the veteran Swiss able to regroup and level the match even though he was still well below his best. By the start of the third set, Federer was playing much more like his 2017 self but, just when it seemed he was about to coast to victory, Tiafoe roared back. He took the fourth set in just 24 minutes and, going into the decider, Federer looked in serious dangerous of suffering a first ever opening-round loss in New York. What he could count on, despite the nationality of his opponent, was the support of the majority of the crowd, and he again took control with a break early in the fifth set. When Tiafoe netted a final forehand, Federer raised his arms aloft. But, while he may have won the battle, his ability to withstand greater challenges ahead is very much in question. Roger Federer celebrates his victory at the US Open.